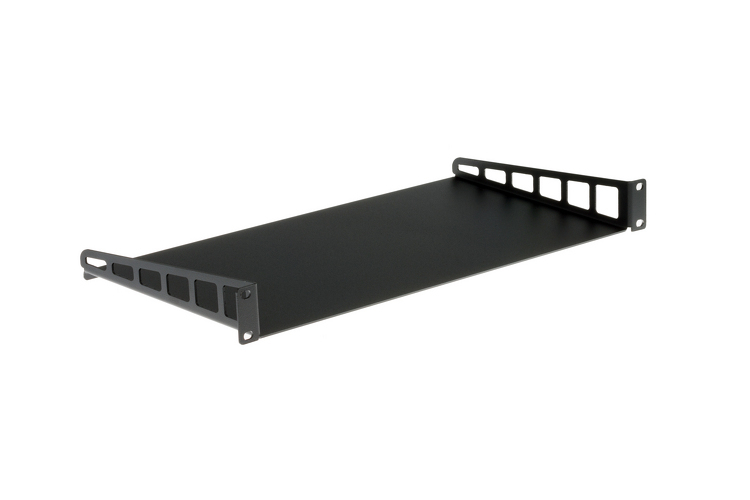 Lightweight 14-gauge steel rack mountable keyboard tray. 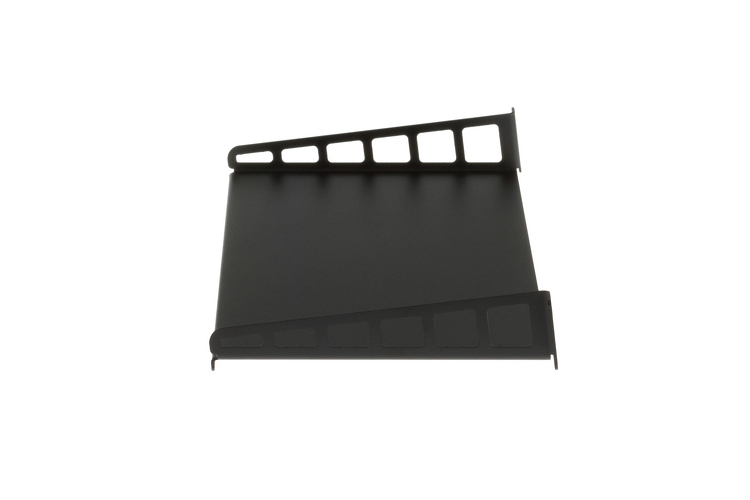 The Kendall Howard series of stationary keyboard trays are an inexpensive way to mount your keyboards to almost any open racking system. 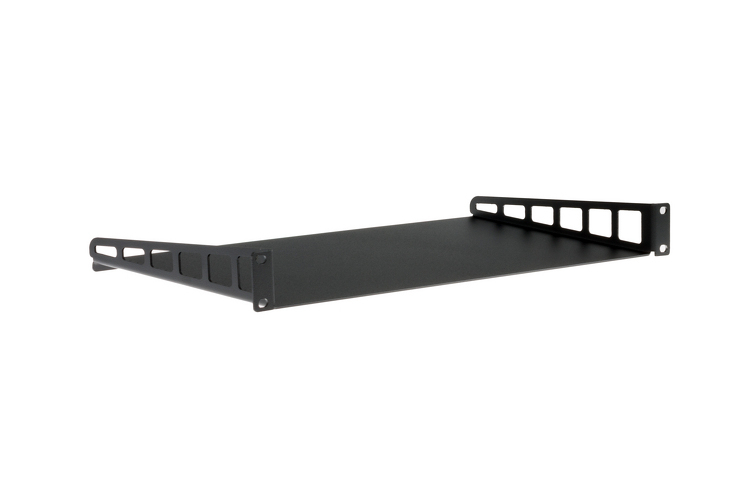 Exceptionally strong and lightweight, this unit will keep your keyboard stable while allowing you room to configure your rack your way. 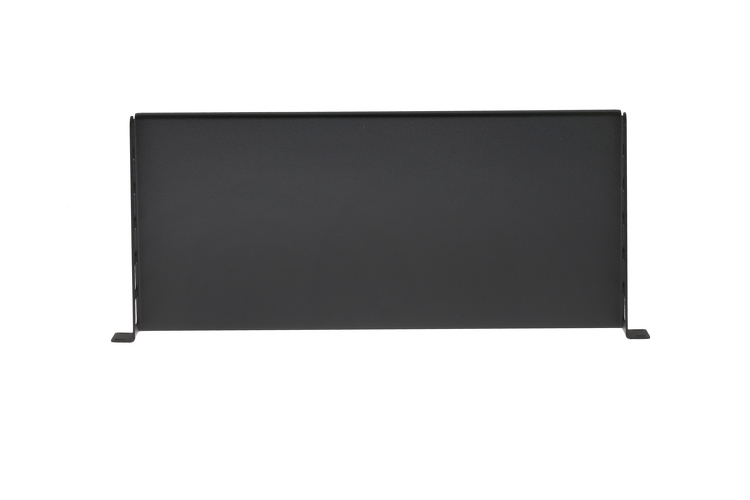 Our stationary keyboard trays are constructed from heavy 14-gauge steel and individually formed to maintain the highest quality. 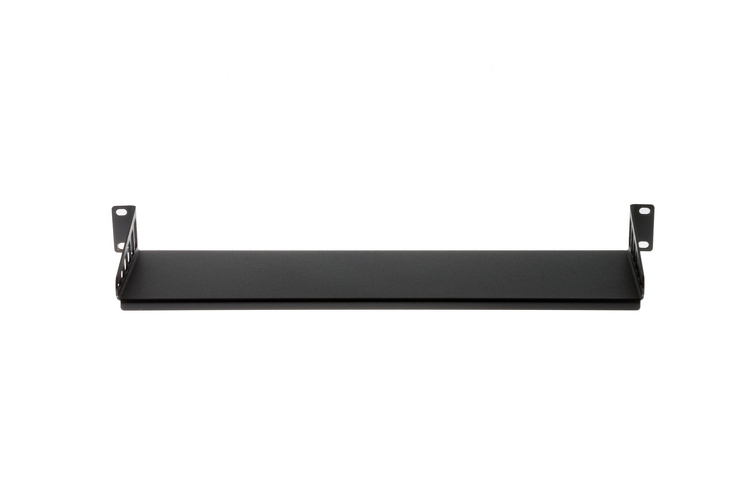 These shelves come standard with heavy-duty black textured powder coat paint. We currently have 5 of this product (part number 1910-1-001-01A) in inventory and ready to be shipped from our Buford, GA warehouse. The stock counts reflected for each of our products are real-time numbers. We go through great lengths to keep these numbers as up to date as possible to be sure we have quantities on-hand and available to meet the needs of our customers. It is extremely rare that the stock quantity reflected here is inaccurate. This product (part number 1910-1-001-01A) qualifies for our FREE Standard Shipping offer. If your order total exceeds $99, and is made up of items that qualify for Free Standard Shipping, you will receive free shipping on the order, or those items. Basically, certain items in our store do not qualify for free shipping due to size or weight, and this is not one of them! As always, you are also free to upgrade to other shipping methods including Ground and Express services to have this item as quickly as 10am next business day.